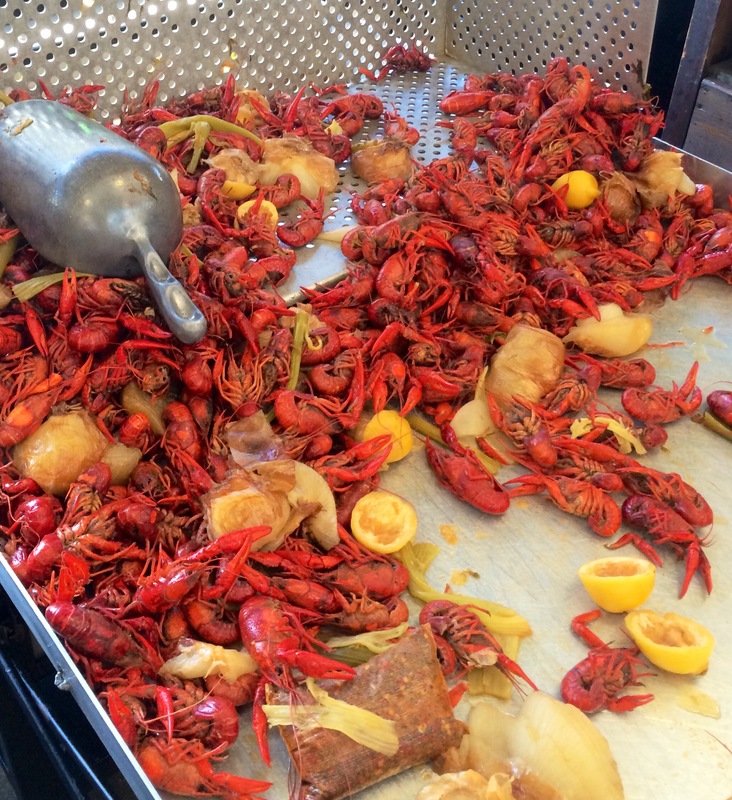 N’awlins – Eat, Drink, and Go! Music, history, food, drink, sights, smells, and sounds, New Orleans (N’awlins) is a place like no other. The French Quarter is generally the place to be for walking around with a hurricane (the fruity ice drink that is a must if you go when it’s hot out – gulf coast hot is HOT!). No open container laws so people are drinking all day and all night in the streets. My favorite place there is the French Market with vendors under a long white tent. I had the best crawfish ever!! So spicy, sweet, and succulent, my lips burned so good! Cooled them down with fresh fruit frozen daiquiris just across the way under the tent. Those were delicious!! From typical city souvenirs to unique art, you can spend a good amount of time tooling around in here and hiding from the sun in this shade of the market tent! 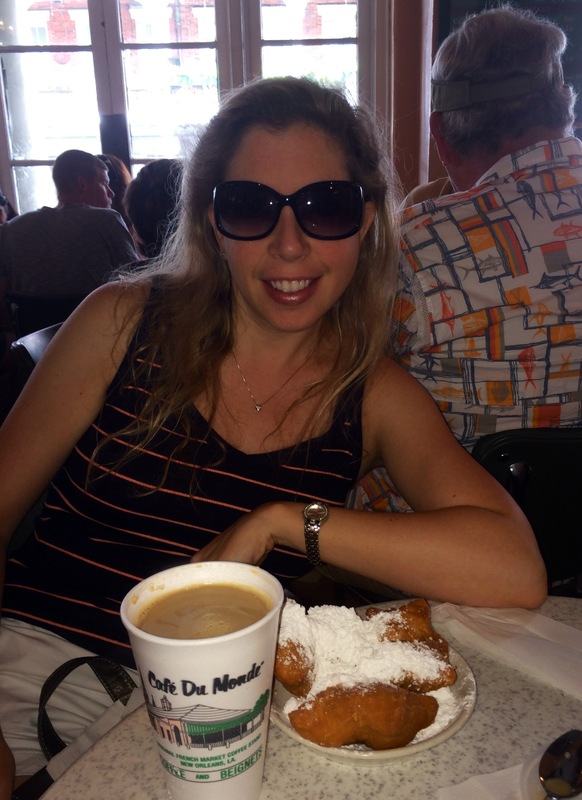 Another must is Cafe du Monde for beignets and cafe au lait. Touristy, yes, but such a sweet indulgence that is worth every glutinous calorie!! You won’t need any sugar in your cafe au lait, that’s for sure! 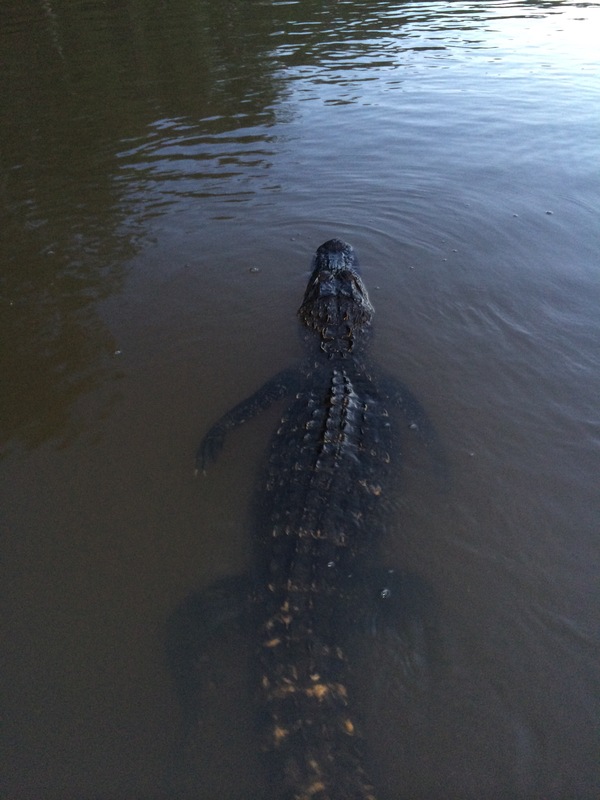 My favorite thing we did last time was the gator tour in the Bayou. There are several companies that offer this and we did the night cruise – it was great!! 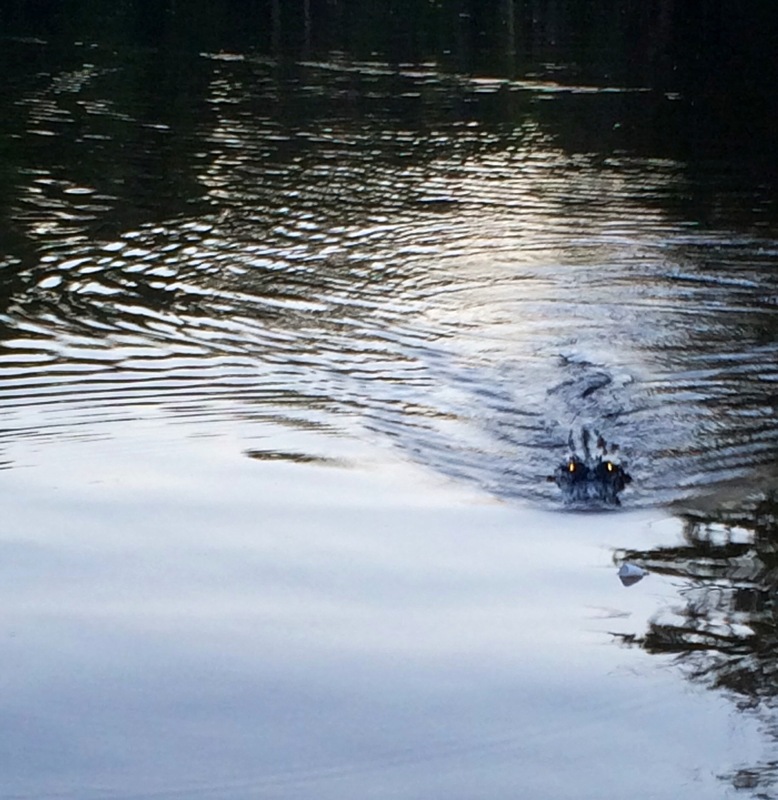 Started before it got dark and they feed the gators marshmallows!! Hilarious! Marshmallows!! Look at those eyes!! The get right up to the boat and it’s just a little scary. We saw plenty of other critters too. I definitely had me some heebie jeebies, but it was really fun. I’ve stayed at the Sheraton right on Bourbon Street, which was a great location, and I’ve stayed at the Historic French Market Inn, which was haunted (and I totally don’t believe in that stuff, but in this case it was true). I’d give a nod to both as good places to stay in the French Quarter, depending on your style. Music is always playing. Preservation Hall is a must for jazz lovers. The line is long and the crowd rotates through the hall, but you can stay as long as you want once you’re in. The players are doing their thing and could do it in their sleep because it’s like breathing to them. You can actually breathe the music, that’s the best way to describe it. The bars and lounges have the same cover bands, at least the ones in the French Quarter, and they rotate around. Mostly pretty good. Plenty of opportunities to dance. Lots of places put on the pressure to take those test tube shots, which isn’t my thing, but to each his own. It’s gotten pretty bachelor/bachelorette party friendly. A little much for me for the night scene, but a very friendly crowd everywhere you go. And people watching is top-notch. Just be careful on the cobblestone streets! I wouldn’t recommend the summer unless you truly like it hot and humid. Springtime weather was more my style. Still warm, but not hot. I have to go to New Orleans some day!